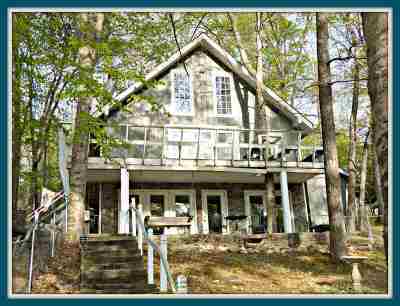 Douglas Lake Front chalet! Home is nestled in a wooded setting with easy access down to the dock area. Fenced back yard. Granite counter tops in the kitchen. New roof in 2012. New HVAC in 2018. 2 Bedroom septic, but home can accomoodate additional guests. This is the perfect lake front get-away you&apos;ve been looking for to create memories that will last a lifetime. Great for vacation or permanent home. Located at the end of a cul-de-sac. 220 wiring for a hot tub. Lower level wet bar. Boat dock is included. Home is selling completely furnished.